How to create more viral content than the flu? Virality (better known as “buzz”) is when content (blog post, photo, YouTube video, podcast) is shared in bulk on the net (by that means: Facebook, Twitter, Instagram … ). The information spreads very quickly, like a virus. Virality is the best way to quickly gain visibility and traffic, without having to invest in advertising or being the King of SEO. This is nothing more than word-of-mouth 2.0. And creating viral content is nothing but the dream of any blogger or company on the net. WHAT DRIVES A USER TO SHARE CONTENT WITH THEIR NETWORK? Jonah Berger, in his book Create the trend , explains that we share information on the blogosphere to get some self-satisfaction, a form of prestige. I admit I’m not 100% convinced. It does not matter ultimately. The bottom line is that creating viral content follows specific rules. If you want to turn your blog or website into a traffic magnet, follow these tips from a study by American giant BuzzSumo . First of all, we must remember this essential rule: for the planet to remember your article, several weeks after its publication (or even months, let’s be crazy! 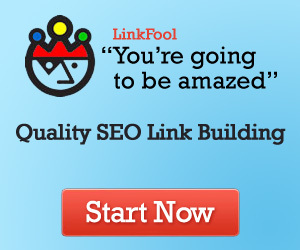 ), you have no choice but to produce content quality. No trick, no sleight of hand can ever make your content viral if it’s not worth it. The title is a magnet with clicks. The starting point for creating viral content. If your title leaves something to be desired, Internet users will never click on it. Even if your article is exceptional, even if you have made the Facebook ad, even if your site is the most beautiful. Wrong title = 0 reader = 0 traffic = $0. The good news is that there is no need to go out of the best American copywriting schools to write good titles. Fear: How to avoid sinking after 6 months of blogging? Curiosity: Freelance: Do you make these mistakes with your customers? The profit: How to reach $100,000 / year with your e-commerce site? Lists: 7 essential WordPress plugins.